Durant, LeBron, Kobe, Rose, Westbrook, CP3, Blake Griffin, Rondo, Carmelo, and Dirk are some of the names that will be contending for a title in this year's playoffs. I believe that this will be a year that shows the power shift in the NBA. Feel free to comment with your opinion, and here you go: my picks in 2012. Let the games begin! Greg Popovich will keep his guys from taking this round for granted and Parker, Manu, and Duncan will take care of business quickly. San Antonio will win easily. This should be a high quality series with some high-flyers in Rudy Gay and the exciting Blake Griffin show. Two solid teams, but Memphis’ team play and familiarity with each other will ultimately beat one of the two Hollywood teams with two All Star starters. Metta World Peace’s brief absence will provide a glimpse of false light for the Nuggets. The Lakers will still be too much with Kobe, Bynum, and Pau. A rematch of the 2011 Western Conference semifinals will go in favor of an OKC team with some recently acquired playoff experience. Durant and Westbrook will take care of business with the aging and complacent Mavericks. Rose and Co. will handle the new A.I. and a Sixers team that has no prolific scorer. Somehow these teams always manage to match up in the playoffs and the Celtics squeak by. That shouldn’t change if the original Big Three plays anything like they have been and with Rondo facilitating the Celtics will make it to the Conference Semifinals in a competitive, physical series in the opening round’s only series that goes to seven games. The Stan Van Gundy saga will end terribly and Larry Bird’s up and coming Indiana Pacers team will show that they can make some noise in the playoffs. Roy Hibbert will continue to develop into a force in the post. LeBron will show why he was the MVP and gain some playoff confidence in the opening round against Linsanity-less New York Knicks. Carmelo can’t contend with the new Big Three. The aging Spurs versus a young Grizzlies team would appear to make an interesting series but the experienced Spurs will slow down the game to their pace, making a high percentage of field goals and getting it done in the second round. This will be one of the most exciting series in the playoffs prior to the Finals. Two of the top three scorers in the game (Durant and Bryant) will go head to head in a thrilling seven game series. Kobe will take too many shots in a series that is winnable for the Lakers if Bynum and Gasol get more shots and prevent the Thunder from transition baskets. In another exciting series of excellent all around basketball, Chicago will show they do not have the ability to compete deeper into the playoffs. A younger, more defensively oriented Bulls team will drop a to Pierce and a determined Celtics team in what may be the last year the Big Three make a deep playoff push. The Pacers are too inexperienced and don’t have the scoring ability of the well-rounded Heat. Indiana’s excellent team play will escape a sweep, but barely. Youth and athleticism will outplay experience in the Western Conference Finals. Oklahoma City will get their first shot at the NBA Finals this year and continue to show the future of the NBA is in good hands. Just like the Spurs, the Celtics are too old to compete with the future of the NBA. As much as I would like the Celtics to pull off an upset, the Heat are simply more talented and have a dynamic duo in Wade and LBJ. The Celtics will get a game, but the team from South Beach will dominate otherwise. I’m sticking with my preseason pick for the NBA Finals matchup – and I also think my preseason pick to win it all will come through. 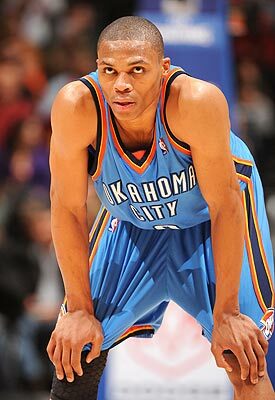 Durant and Westbrook will put up solid numbers, but don’t have the ability just yet to come through in the clutch. LeBron wants it this year and has learned he needs to take the game into his own hands like he did in Cleveland when he took the Cavs to the Finals virtually singlehandedly. He has the Finals experience and supporting cast to get it done. LeBron will come through in the clutch in a series with four of the NBA’s young elite battling for the Larry O’Brien trophy. LeBron will hoist it for the first time after impressive play in Game 7 of a thrilling Finals series. The Los Angeles Dodgers have started faster than anyone could have predicted. Boasting a National League best 11-3 record, they are riding the hot bats of Andre Ethier and Matt Kemp. But can they continue? 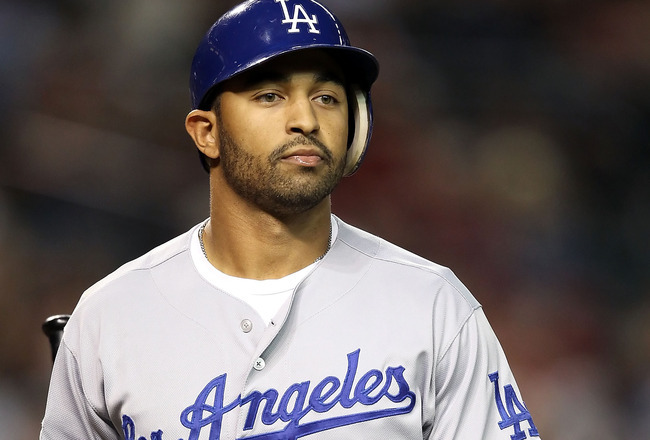 2011 NL MVP runner-up Matt Kemp is no fluke. He certainly looks to be an All-Star for years to come and a bright spot for a team that filed bankruptcy less than a year ago. Barring injuries, he will likely make another push for NL MVP. And if Kemp is the Dodgers version of “Batman,” then Ethier is his “Robin.” The two are tied for the league lead in RBIs (18), and provide legitimate threats in the heart of the Dodgers lineup. However, the Dodgers will not continue this incredible start. They have two possible All Stars in their lineup as well as maybe another one in their rotation (2011 NL Cy Young award winner Clayton Kershaw), but are otherwise mediocre at best. Their home run totals show a staggering example of this disparity. Kemp and Ethier combine to have 12 home runs thus far. The rest of the entire team has one. Also, the Dodgers have seven of their 11 wins against the Padres, a team tied for the worst record in the majors. Although the NL West was known as one of the worst divisions in baseball not too long ago, the Giants and Diamondbacks will be playoff contenders in 2012. The Padres do not provide nearly the competition of those two teams. The Dodgers split the season opening series with the D-backs and lost two games in a three game set during the first week of April to the much improved Los Angeles Angels of Anaheim. These games will be much more indicative of the Dodgers success. Looking through the Dodgers schedule, they may be able to continue their run for a bit longer, but the notorious “dog days” of June will hit them hard. Four games against the Phillies, six against the Angels, and three against the Giants will bring the Dodgers back down to Earth – and maybe then some. Look for them to hover around .500 for the month of June and go 14-14. Although this is looking into the distant future, the final reason the Dodgers are not real World Series contenders is that they have a weak schedule. According to ESPN, the Dodgers have the 7th easiest schedule in the majors, something that does not bode well come the playoffs. To highlight this incredibly weak schedule, even though the Dodgers currently have the second best record in baseball, their Relative Power Index (RPI) is south of the top 10 – and below the 5-8 Cincinnati Reds. This moment was a pure classic because when a batter charges the mound, you think he has an advantage – purely based on momentum and premeditation. Not the case here…Nolan Ryan absolutely pulverized Robin Ventura. This is the stuff legends are made of. Story goes that Ruth stepped up to the plate one game, pointed to the center field stands, and proceeded to hit a home run precisely there. Luis Gonzalez facing the dominant Yankee closer Mariano Rivera in what would later be dubbed by SI the “greatest postseason game of the decade.” This at bat occurs after the Diamondbacks were down one in the bottom of the ninth inning and had just tied the game at 2-2. 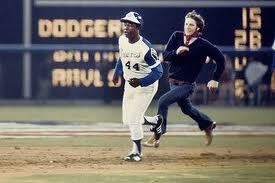 This was probably the most infamous blooper in baseball history. 7. 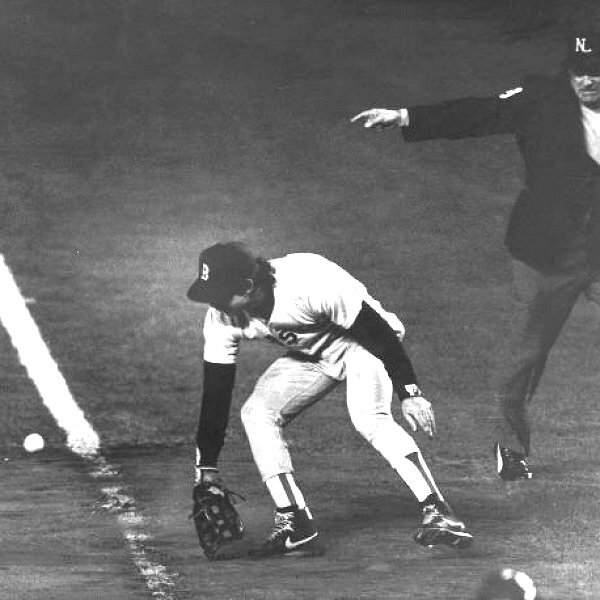 Bill Buckner…Need we say more? Yet another attempt by the Red Sox to break “The Curse.” The Red Sox were favored – and winning three games to two in the best of seven World Series and Buckner made the most infamous error in sports history, that eventually led to the continuation of the Red Sox postseason misery. Baseball’s most valued record is the home run record, and 755 became to be known as the most important number in baseball. Watch for yourself as Duane Kuiper makes the call for a historic moment in baseball. This would be higher on the list if not for it being tainted by the steroid era. This moment is emblazoned in the minds of baseball fans. 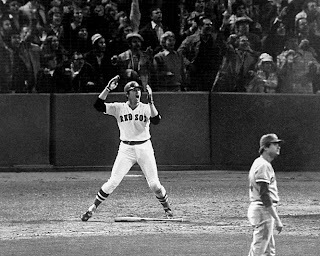 In the bottom of the 12th inning, Fisk's hit appeared to be going foul, but this home run forced a Game 7 in the 1975 World Series. As shown in the above picture, Fisk was literally trying to wave the ball into fair territory. This home run was probably the single most improbable event in baseball and everything about this moment is etched into baseball fans memories – either through the live play or constant replays since. The fist pump and the “I don’t believe what I just saw!” put this moment in a well-earned 3 spot. This catch by Willie Mays is one of the most incredible catches in baseball history -- and it happened in the World Series, no less. Mays sprinted back and caught a ball that went nearly 480 feet, a distance that would be well into the stands of most parks. Announcer Jack Brickhouse proclaimed the play "must have been an optical illusion to most people." Hank Aaron’s 715th home run broke Babe Ruth’s all-time home run record. The most legendary baseball player and the most legendary baseball record being broken by an African American was an important and historic moment of a sport that was segregated less than 30 years prior. Bloody Sock Game, Dave Roberts steal, David Ortiz HR…too many moments to choose from! The 86 year old curse of Babe Ruth being traded from the Red Sox and Yankees ended in amazing comeback fashion. After being down 3-0 in a best of 7 series, the Red Sox won four straight against the Yankees. This was the best comeback in sports history and earns the spot atop the Top 10 Baseball Moments. 762 career home runs, over 2500 career walks, nearly 3000 career hits, and 514 career stolen bases. You could probably take any two of these four statistics and argue that a player with those numbers is a first ballot Hall of Famer. Barry Bonds has all of these numbers and more. The two numbers that stand out in particular are his all-time records 762 career home runs and 73 home runs in 2001. Every time he stepped in the batter’s box, everybody held their breath waiting for something only this freak of nature could do. As a result, he was given intentional walks at an unfathomable rate. His career total for free passes, 688, was more than the next two on the list (Hank Aaron and Willie McCovey) combined. Someone may never reach these numbers again. No hitter has ever been feared more than Barry Bonds. We can’t put these numbers solely to the incredible talent and work ethic of Bonds. He transformed from a base-stealing, power hitting, all-around threat to a purely lethal home run hitter, something very unusual. Although never convicted, in the midst of the infamous steroid era, Bonds stolen base totals began to decrease dramatically. Prior to 1999, he had averaged 34 stolen bases a year. In 1999, he had 15 stolen bases and averaged less than 8 stolen bases a year for the rest of his career. He was losing his speed fast, and trading it for bulk. Miraculously, the 14-time All-Star saw an increase in home run totals, peaking at age 37 in 2001 with the 73 home runs, an age where most players consider retiring. That’s not the only thing that increased during this time. Compare his head size as a rookie in 1986 to that in 2001. Bonds head grew in size from 7 1/8 to 7 3/4 and his shoe size grew from 10 1/2 to size 13. These numbers are as inhumane as his baseball statistics, and there is a correlation, namely anabolic steroids. After all, Bonds himself admitted that he took steroids. Bonds undoubtedly felt pressure from the home run hitters around him. McGwire and Sosa, the other premiere home run hitters of the steroid era both cheated the game. McGwire eventually admitted to steroid use and Sosa tested positive in 2003. Both players passed Roger Maris’ home run record multiple times each from 1998 to 2001. What was the response of an extremely competitive Barry Bonds? An impossible 300 home runs after the age of 35 speaks for itself. 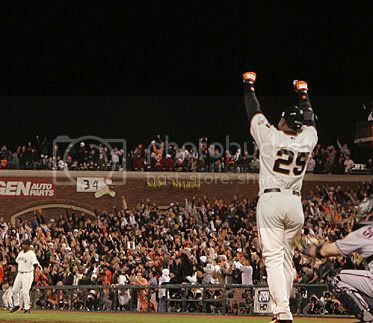 As a Bay Area native and lifelong Giants fan, Barry Bonds was and is my baseball hero. Hearing Duane Kuiper bellowing home run calls day after day during baseball season is something I will never forget. Kuiper’s home run call when Bonds passed Hank Aaron is as good as it gets—words cannot describe the emotions that are attached to what we know simply as 756. Listen for yourself – there are few things in the entire sports world quite like this moment. And as a Giants fan, this moment embodied the epitome of pride in our sports hero. Now fast forward to 2012. One year from Bonds eligibility for the Hall of Fame. The divide in support and for Bonds is complex and not even all Giants fans support Bonds’ induction. If I saw him inducted into the Hall, I would be excited. One of the best players of my generation, no less a man who had been my favorite player on my favorite team…how could I not be excited? But as a baseball fan, the asterisk that taints his record would still give me a twisting sensation. He cheated…so is it right to give him recognition along with legends like Hank Aaron and Babe Ruth? If I were a sports writer who voted for Hall of Famers, I would not vote for Barry Bonds induction. In response to the final question of the previous paragraph, he does not deserve recognition alongside Aaron, Ruth, Mays, Robinson, Cobb, and the like. You can’t look at his numbers prior to 2000 (roughly when he began using performance enhancing drugs) and argue that they are Hall of Fame numbers, thus he should be inducted. You can’t choose part of his careers body of work and ignore the subsequent and most famous accomplishments. 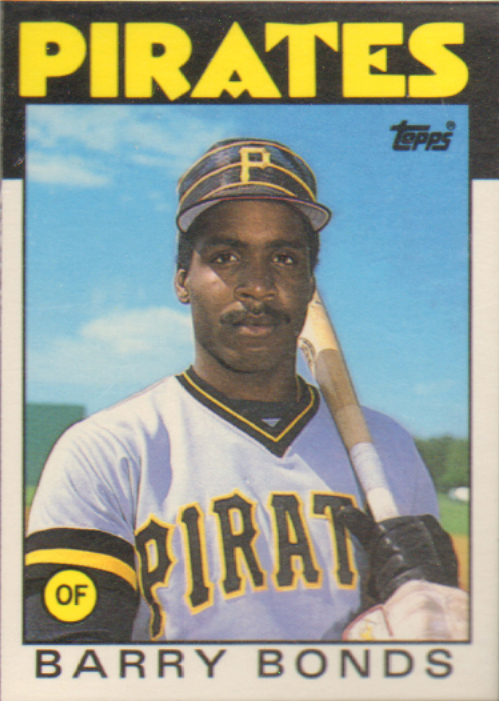 He is known for 73 and 762, not for being the skinny base stealer on the Pirates. So finally we arrive at the strongest argument for Barry Bonds induction: Major League Baseball did not implement required steroid testing until June 2004, and Bonds never failed a drug test (including the one Sosa failed in 2003). Technically speaking, Bonds never “broke the law” of Major League Baseball like, for example, Pete Rose did when Rose bet on baseball and was sentenced to a lifetime ban from baseball. However, in 1991, before the “steroid era,” MLB Commissioner Ray Vincent “sent a memo to each team announcing that steroids have been added to the league’s banned list.” And in April 2001, baseball implemented a random testing program and a penalty for steroid use at the minor league level. Why wasn’t this implemented at the Major League level? Commissioner Bud Selig had no reason to stop the home run records that were being broken left and right at an inhuman rate. Everybody loves home runs, so Selig took the easy way out and turned a blind eye to something that was right in front of his face. Players like Barry Bonds took advantage of the system. They artificially increased their power and home run capabilities. But the artificial capabilities in combination with the fact that steroids were on the banned list for baseball means Bonds should not be immortalized in Cooperstown. Most importantly, inducting Bonds sets precedence for future inductees. If Bonds is elected a member of the Hall, so should the other steroid era greats like Mark McGwire, Sammy Sosa, Roger Clemens, and Alex Rodriguez. The Hall of Fame will become as tainted as the home run records Bonds holds. Baseball does not want that. As America’s pastime, we need to keep the Hall of Fame baseball’s sacred ground. He started out as a teenage phenom drafted straight out of high school. 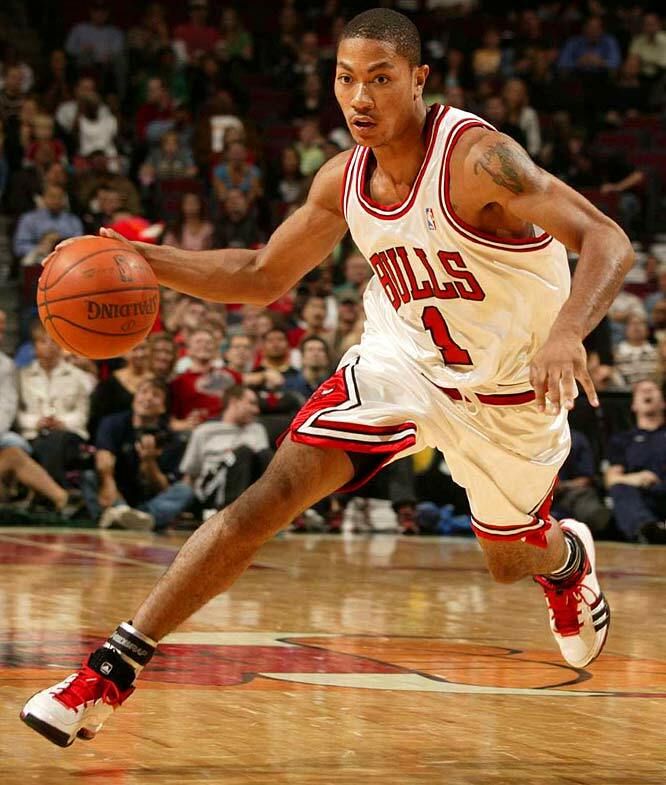 He was compared to the god of basketball, Michael Jordan, before he had even played an NBA game. Size, athleticism, and basketball ability appeared to have brilliantly combined in the Akron native, LeBron James—an undeniably amazing physical specimen. In the beginning, he managed to fulfill these incredible expectations. 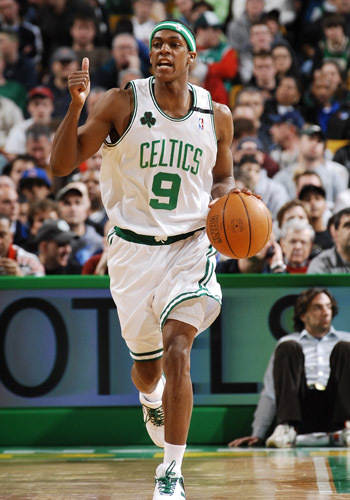 Drafted in 2003 (arguably one of the best draft classes in basketball history) as the number one overall pick by the perennially terrible Cleveland Cavaliers, he averaged better than 20-5-5 in his rookie year. This stat line has been matched by only two rookies prior to James, one named Michael Jordan. To top it off, the Cavaliers win total improved by a staggering 18 games. Endorsements flew to James, notably Nike. 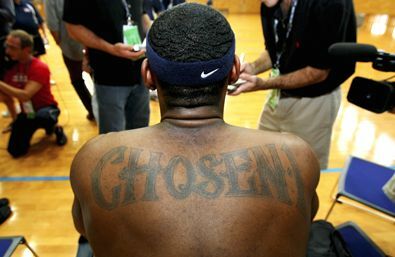 The now infamous “We Are All Witnesses,” became a tag line for the basketball player who had “The Chosen One” tattooed on his back. Inevitably, there were people that hated James. But as with any great player comes fans who are jealous, prefer the underdog, or simply root for rival/other teams. I can say I was not one of them. I respected the relatively quiet LeBron James, a basketball player who stayed with the Cleveland Cavaliers for seven years. Yes, he never won a ring, but he made a 17-65 team a legitimate championship contender (2007 vs. the Spurs) virtually single-handedly. The infamous and much anticipated summer of 2010 changed everything. As an unrestricted free agent, James had led his hometown Ohio fans toward believing he would stay, and followed it up with the televised ESPN hour simply titled The Decision. The title alone is repulsive. The Decision? As if he was the be all and end all. The entire basketball world—and more—was watching to see where he would go, wasn’t that enough? James proceeded, with a crowd of children at his feet and the nation watching, to announce after an insincere “this is tough” that “I’m going to take my talents to South Beach.” Can you imagine how a diehard Cavaliers fan felt, slapped on national TV? It was an extremely classless thing to do. The jersey burnings in Ohio that followed James’ announcement sum it up. So how does “The Chosen One” do in Miami? First, he receives a grand, excessive welcoming party. In the words of Howard Beck, a New York Times writer, “Everyone saw something: greatness, arrogance, self-indulgence, boldness, cowardice, pride, friendship, collusion, joy, cynicism, heroes, mercenaries.” LeBron James was shoving the tattoo on his back in the face of the public, and to the dismay and disgust of Cleveland fans. Numbers don’t lie, and LeBron put up great ones in his first year in South Beach. 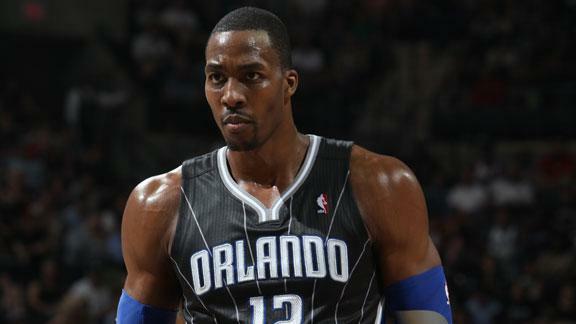 He nearly grabbed the league scoring title and combined with Dwyane Wade to score over 4,000 points – nearly 50 a game. But in the playoffs and Finals, LeBron became LeChoke. 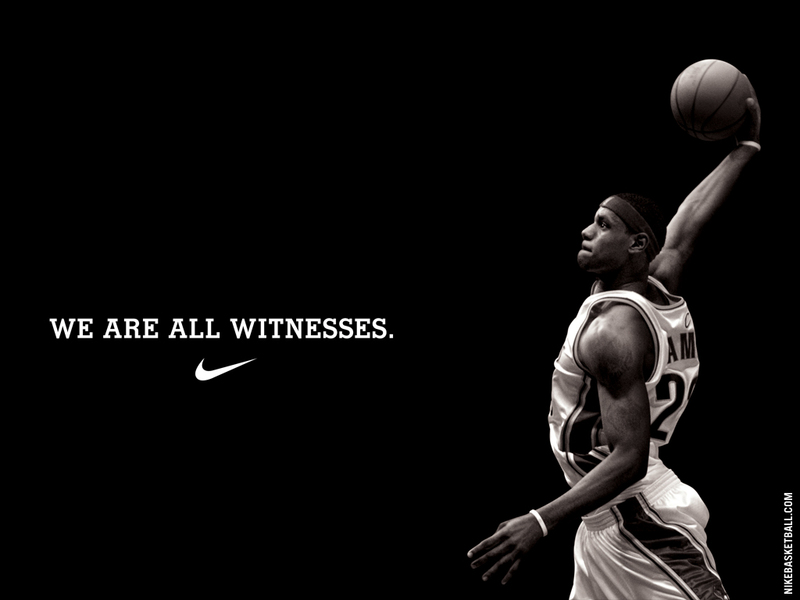 His 8.9 PPG drop from regular season to the Finals was the greatest in history. Losing to a well-rounded Mavs team with Dirk leading the way was only the beginning of the justified criticism that followed LeBron. He gave up what seemed like every big shot. The player compared to Kobe and MJ, who made “The” Decision just a summer ago decides to forfeit the ball in crunch time to Wade and relative no names. In order to be the greatest, you need to have that killer instinct. Jordan had it. Kobe has it. They are assassins. You knew they were coming for you at the end of the game and you simply couldn’t stop it. With LeBron, that simply wasn’t the case, and I was disappointed. I watched the 2011 Finals hoping to see a player deserving to be in the same sentence as MJ and Kobe. I was excited to see him perform at the NBA’s grandest stage, and he didn’t show up. It was his time not only to shine, but also redeem himself and justify The Decision. Quite simply, he failed. And let’s not forget his mocking of Nowitzki’s illness before Game 5…which was still won by the Mavericks. So how do we feel now? I’d argue just as mixed as before. Personally, I still manage to give him the benefit of the doubt. As much as I despised The Decision, the tattoo on his back, and his attitude toward Dirk (among other things), I find myself rooting for LeBron. It’s a combination of multiple reasons. Sports are entertainment and I, and many Americans, want to be entertained by the best athletes. Like we knew when he was in high school, LeBron is a once in a generational type player, something we all should enjoy to be witnesses of. But perhaps the main reason for continued support the controversial superstar is because America is a land of second, third, and fourth chances. It’s hard not to be after baseball’s steroid era and the doping allegations with Lance Armstrong and other international icons. Maybe as a result of how American sports culture has conditioned me, I will probably be rooting for him the next time he makes it to the Finals. 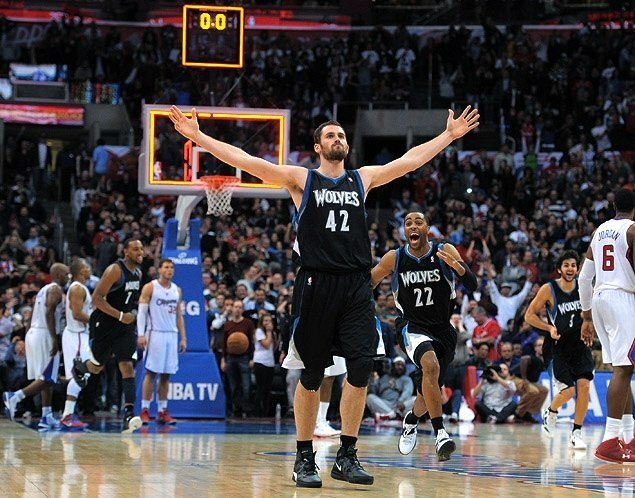 Plus, he’s a monster in NBA 2K12.